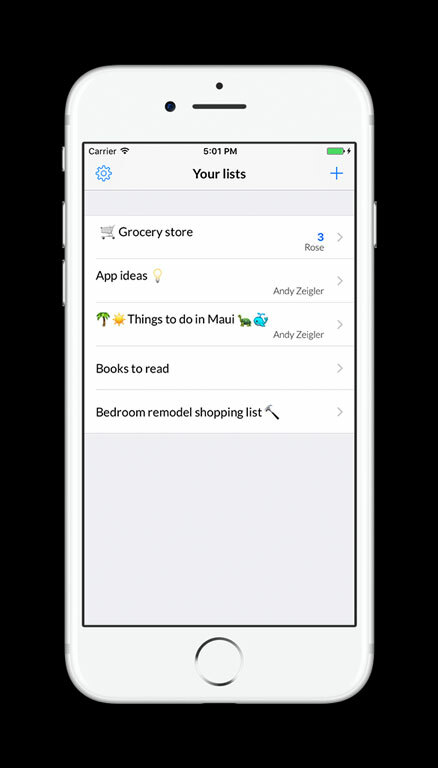 Lists with Friends makes it simple to create and share lists with your friends, family, and coworkers. Blazingly fast, clean, and simple to use with no account setup. 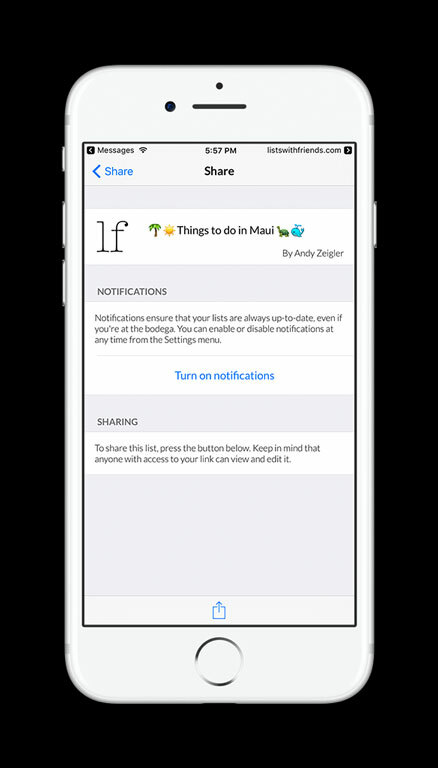 Just create, share, and stay up-to-date with optional notifications. Ever tried sharing a list? Don't have iCloud, Dropbox, Google Docs and your Microsoft account all synchonized? Why is it so hard? Lists with Friends makes sharing simple. Create a list, then use the share button to send it via text message, email, or whatever is most convenient for you. You friend can tap the link. That's it. And no worries if your friend doesn't have an iPhone -- they can still read and edit the list via a friendly web app. Turn on notifications to know instantly when your friends add things to a list. It's super-handy at the grocery -- never leave the store without the bagels again! Few things are more satisfying that crossing items off a list. 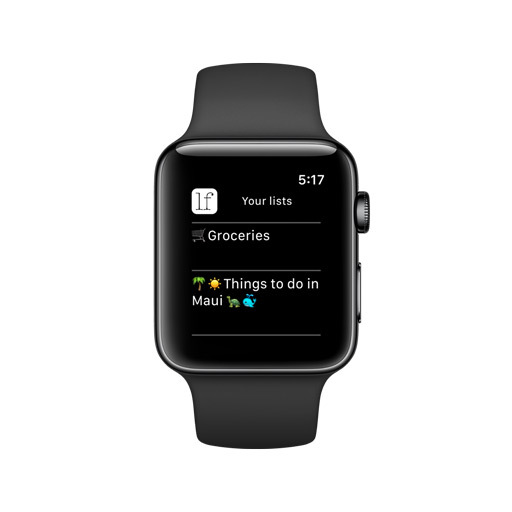 With the included Apple Watch app, you can even check things off directly from your wrist. Go ahead and unplug, it's fine. Lists with Friends works with or without an Internet connection. Get the most important things done first with drag-to-reorder. Works for lists, and for items within a list. Stay in control and only receive notifications from your most important lists. Or, turn them on for all of your lists and never miss a thing that happens. Unlike some other apps, Lists with Friends will never spam you or notify you without your express permission.